A little different to what OpenRA [Official Site] are doing with updated gameplay on an open source game engine, CnCNet [Official Site] are providing downloads for Red Alert & Tiberian Sun that have an updated OpenGL renderer so they work better with Wine. They also offer up the original Command & Conquer, although that doesn't seem to have the single-player portion. You might be thinking, why not just use OpenRA? A valid question! OpenRA has a lot of gameplay differences to the original games, since they're updating it to be more modern. 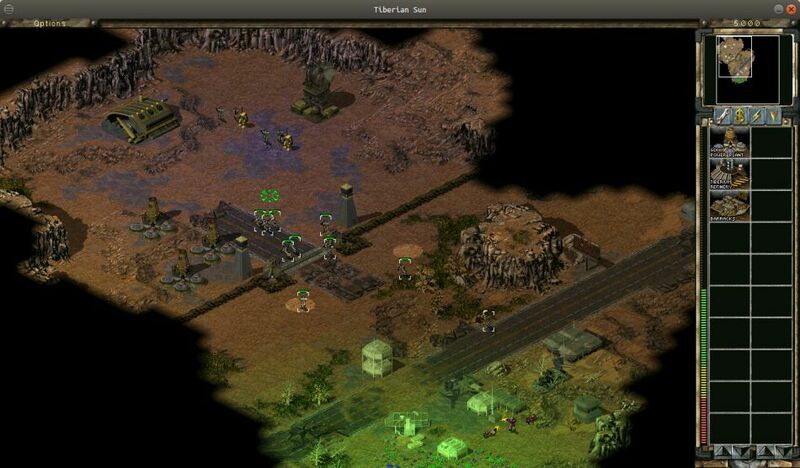 Along with that, OpenRA also doesn't have Tiberian Sun support done yet. Is this actually legal? Well, I have no idea as that topic is not one of my strong points. EA released the games for free some time ago, so what they're doing is probably okay. You can find various downloads here, including packages for Debian/Ubuntu, Fedora, Snap Packages and so on—handy. All come with Wine setup and ready to use. Their launcher basically takes care of your every need, including their online service so you can play against others. This is the kind of thing that makes me appreciate Wine, since developers can package up old games with it along with some adjustments to provide Linux gamers a fun experience with little to no fuss required. As for CnCNet itself, a lot of what they do is available on GitHub which is sweet. I haven't heard of these projects before, Tiberian Sun remains one of my fav in the series. I just want one of these projects to give me Red Alert 2. That's the best one of all. Where does it say they have an updated OpenGL renderer? Leopard Where does it say they have an updated OpenGL renderer? OpenRA also doesn't have Tiberian Sun support done yet. I think I might call in sick when that hits the internetz. I am just waiting for Command and Conquer Generals, the best game in the whole franchise. TemplarGR I am just waiting for Command and Conquer Generals, the best game in the whole franchise. What about this : https://www.gamingonlinux.com/articles/opensage-an-early-wip-game-engine-for-command-conquer-generals-adds-linux-support.12025 ? Nice. Remind me in a decade or so when it may become playable.